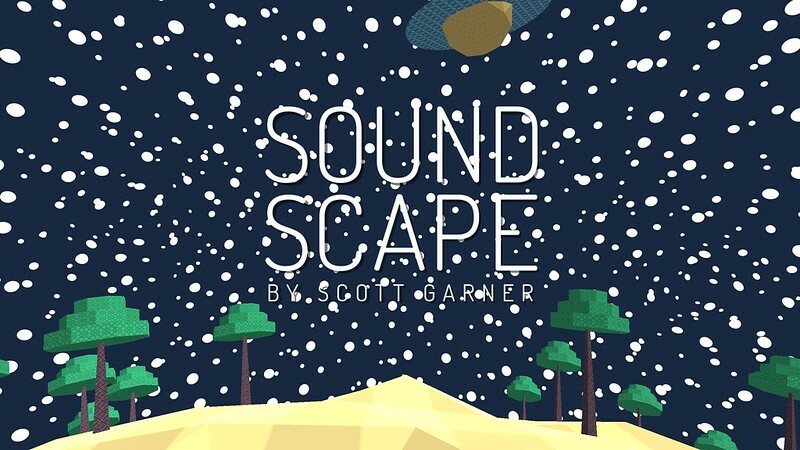 SoundScape is a meditative VR journey across a system of musical planets. It was created for Oculus’ Mobile VR Jam 2015. To learn more and download the apk, view my submission. After completing Volotic and working on a planet-themed VR project with David Lobser, I began to imagine a set of musical planets with different visual and aural themes that could be explored in virtual reality. 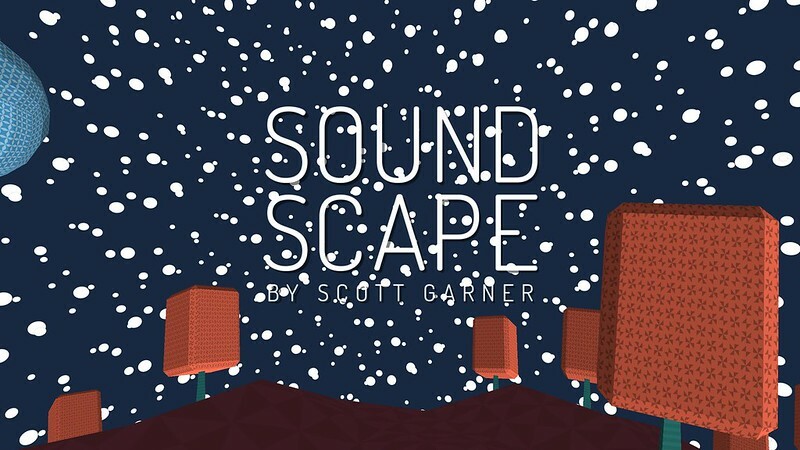 My earliest visions of the experience involved generative landscapes and audio, but time constraints led to a limited set of prebuilt assets and songs. Navigation in SoundScape is completely gaze-based. Looking left or right will cause you to fly in that direction. Looking up or down will cause you to fly up or down within a limited range. Aside from meditative exploration, there are no other mechanics in SoundScape. Flying through any of the round portals will teleport you to another landscape. 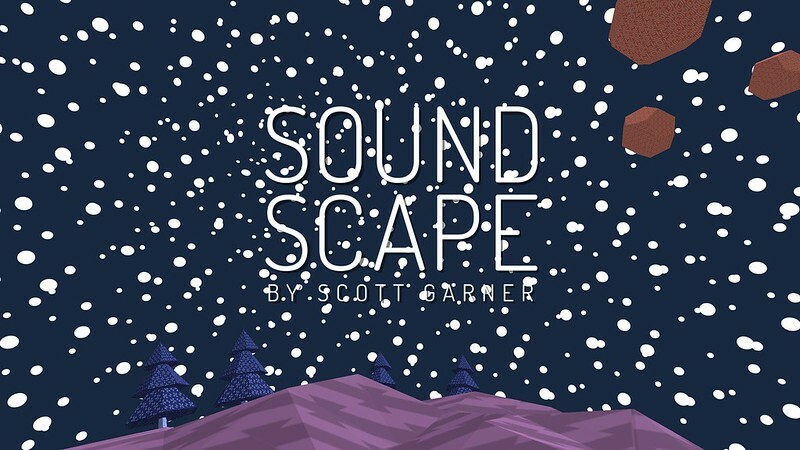 SoundScape was authored in Unity 5 using the Oculus Mobile SDK. 3D assets were created in Cinema 4D R16. Music was composed in Apple GarageBand with some editing in Adobe Audition. Textures and other graphical assets were created with Adobe Photoshop and Illustrator. Milestone videos were assembled and edited in Adobe After Effects. 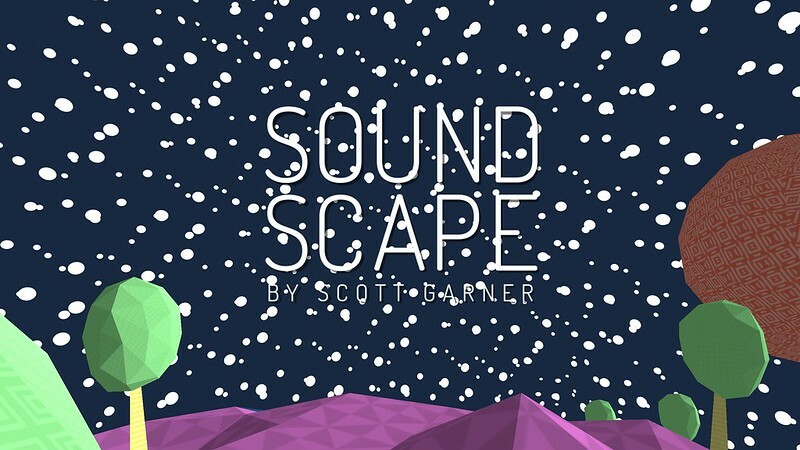 SoundScape was created specifically for a Samsung Galaxy Note 4 mounted in a Gear VR Innovator Edition. The approach to navigation came out of talks with David Lobser while working on another VR project. The code used here is original, but many of the conclusions came out of working with David.